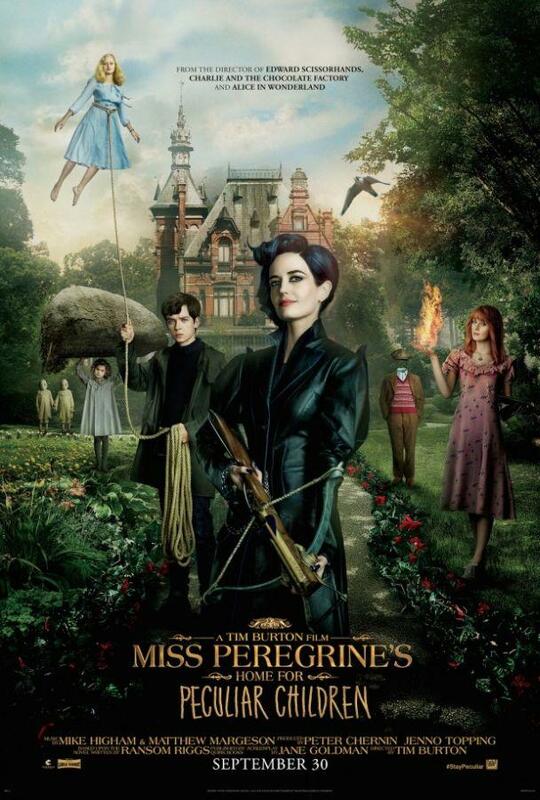 The movie “Miss Peregrine’s Home For Peculiar Children,” based on Ransom Riggs’ debut novel, follows the story of 16-year-old Jake, played by Asa Butterfield. Jake’s grandfather leaves him clues about his past and the world Jake has yet to uncover right before his sudden death. As he struggles to piece the clues together, Jake quickly discovers Miss Peregrine and her home of children with extreme oddities. He learns about their world and the magical, yet terrifying, secrets within it. He believes he is just ordinary and does not belong in their peculiar world, but he ultimately learns that is not the case. Burton’s version gets the story line moving at a quicker pace than the novel, which made it very exciting. Riggs created the launchpad, but Burton let it soar. This truly is one of those rare occurrences, where the movie is actually better than the book. However, fans of the book may not be as impressed, due to the fact that the movie does not stay completely true to the novel. Burton completely switched two of the characters, plot line peculiarities, and he provided an entirely different ending. For me, it was harder to picture the events in the book while reading it, so the visuals created enhanced my experience. Where the movie truly shines is with the antagonist, Barron, portrayed by Samuel L. Jackson. Jackson provides tons of comedic relief during darker moments of the film, that are effective. Although she is not the lead, Miss Peregrine (Eva Green) carries the whole movie by being a strong leader and providing insight to Jake and the children throughout the entire film. Her role is the most vital towards the movie, and Green did not disappoint, as she proved her acting abilities. The character Emma, played by Ella Purnell, was delicate and graceful, but was also fierce in the face of danger. These qualities made her character easily likable. The movie dazzles and delights with wondrous special effects and brilliant characters. While I do believe this was a good movie, it would be extremely difficult for Burton to top his previous work, making this not his best. Still, there’s something for everyone with the action and adventure, dashes of romance, and the dark comedy, which makes it worth seeing. Is it the best movie ever made? No. But does it entertain? Absolutely.